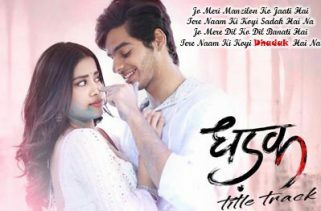 Dhadak is the Bollywood Romantic Drama Movie Remake of Sairat. 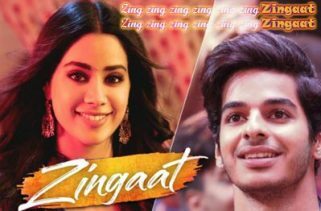 It is starring Janhvi Kapoor and Ishaan Khatter. The Director of this film is Shashank Khaitan. Production Companies are Zee Studios and Dharma Productions. The Movie will release on 20th July2018. The Story and Screenplay writers are Shashank Khaitan and Nagraj Manjule. Producers are Karan Johar, Hiroo Yash Johar and Apoorva Mehta. Ajay−Atul have composed the Music. Amitabh Bhattacharya is the Lyricist. The Singers are Ajay Gogavale, Shreya Ghoshal and Ajay-Atul. The Music originally belongs to Zee Music Company.